Festival season is here and many big name musicians will be coming to Virginia during the month of May. From major country acts to the biggest names in rock and pop, catch your favorite artists and discover new ones all over the Commonwealth. Dr. Ralph Stanley’s Hills of Home Music Festival is located in the beautiful mountains of Southwest Virginia at Dr. Ralph Stanley’s “home place” in McClure. The three day festival, taking place May 24-26, is a great opportunity to see traditional bluegrass bands. Head to Floyd for the Chantilly Farm Bluegrass and BBQ Festival May 25-27 to celebrate the summer with some of the biggest bands in bluegrass and mountain music. Supernova International Ska Festival, taking place Memorial Day weekend (May 26-27) at 1781 Brewing Company in Spotsylvania, is the largest event dedicated to ska and reggae in America. The festival will feature 25 bands from 5 countries including the Suicide Machines, Western Standard Time, and the Pietasters. Richmond’s summer concert series, Friday Cheers, brings some of the nation’s hottest touring acts, along with some regional favorites to Brown’s Island every Friday night in May. Thousands of people will come to relax after the work week to meet friends and hear music from Valerie June, Tank and the Bangas, Butcher Brown, Dharma Bombs and Piranha Rama. 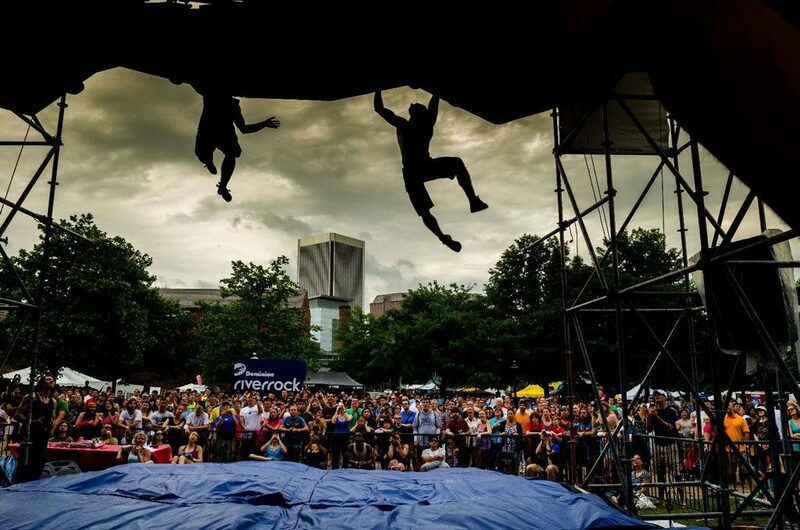 Richmond’s outdoor sports and music festival Dominion Riverrock will brings thousands to the riverside Brown’s Island on May 18-20 with live music performances from Cris Jacobs Band, Marcus King Band, Chris Leggett, Sister Sparrow and the Dirty Birds, the Wood Brothers, Agents of Good Roots, and more. Running through May and June, the Virginia Arts Festival will be bringing hundreds of world-class performing arts in venues throughout Hampton Roads. Major performances include RAIN– A Tribute to the Beatles (May 2), Music Maker Blues Revue (May 17), The Hot Sardines (May 18) and many more. 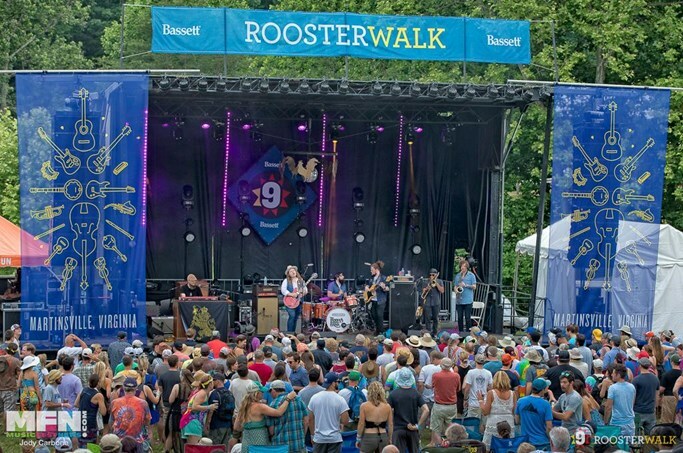 The Rooster Walk Music & Arts Festival will feature nearly 50 bands just outside of Martinsville May 24-27. The lineup includes the Wood Brothers, JJ Grey & Mofro, Robert Randolph, Billy Strings, Sister Sparrow and the Dirty Birds, Zach Deputy, the Dustbowl Revival, Yarn, and many more. On May 19, the Carter Family Fold will host Appalachia Rising, a celebration of music carrying on the musical and performing traditions of the Carter family. The night of music features live performances from Jim Lauderdale, Junior Sisk & Ramblers Choice, Hogslop String Band, and the Church Sisters. The National in Richmond will be bringing a number of big name artists throughout the month. The venue will be hosting The Used (May 2), Black Veil Brides & Asking Alexandria (May 4), Tune-Yards (May 7), Nathaniel Rateliff & The Night Sweats (May 14), St. Vincent (May 23), Descendents (May 27), and more. Elsewhere in Richmond, indie rockers Alvvays will perform at the Broadberry on May 3. Jackson Browne will be at the Altria Theater on May 2. Brian Wilson presents Pet Sounds: The Final Performances at the Dominion Energy Center on May 15. Chase Rice will perform at Innsbrook After Hours on May 12. Tim McGraw and Faith Hill will be at the Richmond Coliseum on May 31. The Beacon Theatre in Hopewell will host The Drifters on May 4, The Lacs on May 10, Johnny Rodriguez on May 19, and more. In Charlottesville, shows at the the Jefferson Theater will include Calexico (May 3), Buckethead (May 6), Tune-Yards (May 9), Shakey Graves (May 10), Ani DiFranco (May 12), The BoDeans (May 18), and more. The Paramount Theater will Brian Culbertson on May 1 and David Crosby & Friends on May 31. 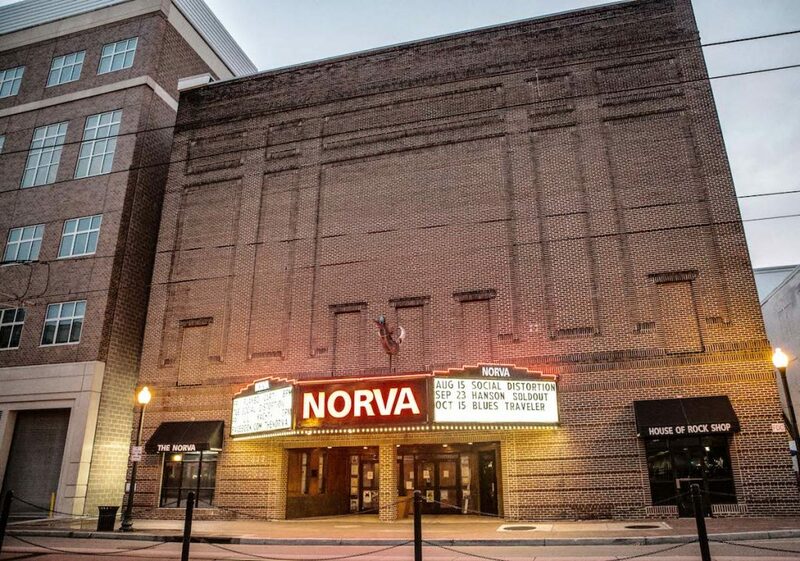 The NorVa in Norfolk will be hosting acts like Sum 41 (May 11), New Found Glory (May 20), St. Vincent (May 22), and more. The Portsmouth Pavilion in Portsmouth will be hosting George Clinton & Parliament Funkadelic (May 12) Primus & Mastodon (May 18), Vance Joy (May 19), Alabama and Montgomery Gentry (May 20), and Brian McKnight (May 26). On May 5, the Veterans United Home Loans Amphitheater at Virginia Beach will host FM99’s Lunatic Luau featuring Alice in Chains, Stone Sour, Stone Temple Pilots, Bullet for My Valentine, Sevendust, and more. Kenny Chesney and Old Dominion will perform there on May 10. And on May 27, the venue will host Top Dawg Entertainment: The Championship Tour featuring Kendrick Lamar, SZA, ScHoolboy Q, Jay Rock, Ab Soul, SiR, and Lance Skiiiwalker. Over in Rocky Mount at the Harvester Performance Center, performances this month include Steve Earle and the Dukes (May 10), Marty Stuart & His Fabulous Superlatives (May 11), American Idol’s Tristan McIntosh (May 11), Brandi Carlile (May 15), Sam Bush (May 25), and more. Joe Bonamassa will perform at the Berglund Center in Roanoke on May 2. Five Finger Death Punch and Shinedown head to the Salem Civic Center on May 14. The Thursday Jams concert series at the Abingdon Market Pavilion will welcome Sam Lewis on May 17, Reverend Shawn Amos on May 24, and Ruby Velle & The Soulphonics on May 31. Phase 2 Club in Lynchburg will be bringing in acts such as The Outlaws (May 4), Underoath (May 5), Chase Rice (May 11), The Lacs (May 12), and more. The Lime Kiln Theater in Lexington will host The Travelin’ McCourys on May 4 and Acoustic Syndicate on May 19. The Blue Ridge Summer Concert Series at the Blue Ridge Music Center in Galax will host Amythyst Kiah & Her Chest of Glass and Wild Ponies on May 26. Celebrate Virginia After Hours in Fredericksburg will host Montgomery Gentry on May 19. Jiffy Lube Live in Bristow kicks off its season with the Outlaw Music Festival featuring Willie Nelson, Sturgill Simpson, Elvis Costello & the Imposters, and Particle Kid on May 27. Blind Melon will be stopping by The State Theatre in Falls Church on May 4. Other performances include Jimmie’s Chicken Shack (May 18) and Donna the Buffalo (May 19). The BoDeans will perform at Alexandria music hall The Birchmere on May 17. Also on the Birchmere’s schedule are Kiefer Sutherland (May 20), Marc Cohn (May 24), 10,000 Maniacs (May 27), Justin Townes Earle (May 29), Big Bad Voodoo Daddy (May 31) and more. The Tally Ho Theatre in Leesburg will be hosting The Lacs on May 11 and Carbon Leaf on May 12, among many other shows. For more big names coming to Virginia this month, go to virginia.org/bignamesinconcert. At a Virginia concert this month? 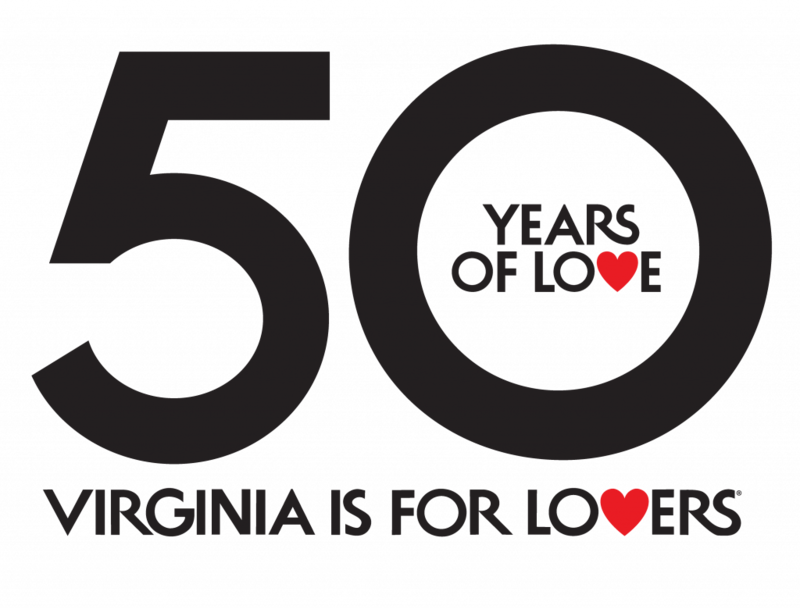 Share your photos with @VisitVirginia on Twitter and Instagram with the hashtags #vamusic and #vaisformusiclovers. The post Big Concerts Coming to Virginia in May 2018 appeared first on Virginia’s Travel Blog.